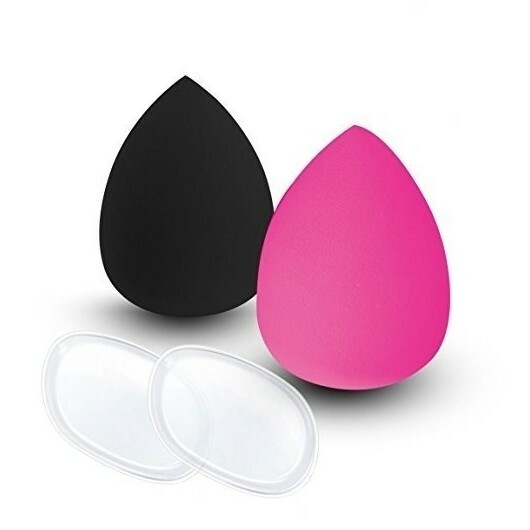 BEAUTY SPONGE BLENDER SET: packaged with 2 latex-free makeup sponges & 2 clear Silicone Makeup Sponge, work great with most kinds of cosmetics, such as powder, concealer, cream, foundation. 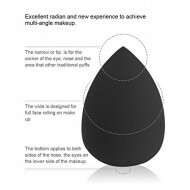 EDGELESS DESIGNE: the egg shape design ensures maximum and seamless coverage, and help you reduce the extra waste and easy to get a natural flawless beauty makeup. SKIN-FRIENDLY: 2 makeup blenders are made from non-latex polyurethane material to reduce allergies, offering smooth and soft feeling and good water imbibition. WET & DRY USAGE: the multipurpose beauty sponges blender can be used wet or dry and with powders or liquids, giving you better control over blending and contouring. EASY TO CLEAN: each blending sponge is flexible, reusable and made from hydrophilic material, easy to clean and maintain.